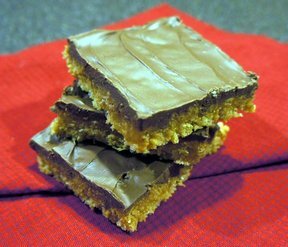 There will never be any leftover bars when you make these. Always a favorite! 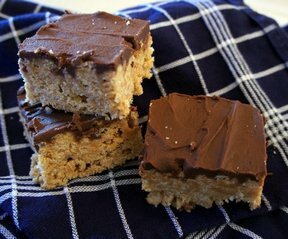 Peanut butter, chocolate and crispy rice cereal...it really doesn't get any better. Combine sugar and syrup in saucepan. Cook over moderate heat, stirring frequently, until mixture begins to bubble. 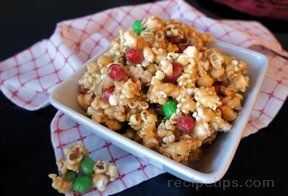 Pour over Rice Krispies and mix well. Press mixture into buttered 9x13 inch pan. Melt chips together in microwave. Stir until blended and spread over the top of the Krispie mixture. "Why doesn't a person make these more often? They are SO easy! Oh, because you can eat the whole pan - they are that good!"